Wyndham Rewards is an interesting hotel program. With every redemption costing 15,000 points per night, there are a few great values out there. That said, those locations might not fit with your travel plans, so it’s possible you’ll have points sitting around for a while. Be careful though, as those points can expire. Here are the terms of expiration for Wyndham Rewards points. Points expire 4 years after they are earned. In addition, after 18 consecutive months without any account activity, all of your points will be forfeited. If you have Wyndham Rewards points that are going to expire soon due to the 18 month rule, here’s an easy way to reset the clock without earning points or making a hotel stay. There are a few options such as redeeming for gift cards or merchandise, but there’s one other option that has the lowest price option to keep Wyndham Rewards points from expiring. In addition to redeeming for gift cards, you can also redeem for charitable donations for as little as 50 points. The donations go to Save the Children, Hotels for Heroes, and other organizations. Head to the Wyndham Rewards redemption site where you will see all of your options. Select your charity of preference, and follow the screens to redeem. It’s as simple as that. You’ve helped out a good cause, and you’ve kept your Wyndham Rewards points from expiring. Also, the redemption is instantaneous, so you can confirm that your 18 month redemption clock has been reset. This of course will not reset your 4 year overall clock for losing points you have earned, so keep an eye out for that. 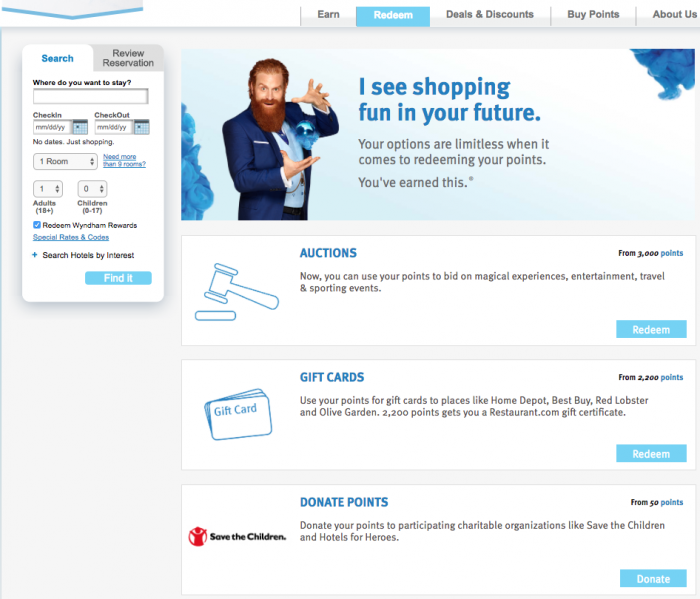 However, if you do have points that are about to expire due to the 4 year window, and you know you can’t use them in time, these charity redemptions are also a way of keeping your Wyndham Rewards points from going completely to waste. There’s nothing more frustrating than losing your hard-earned points due to inactivity. Make sure that doesn’t happen to you by using this trick to keep Wyndham Rewards points from expiring. 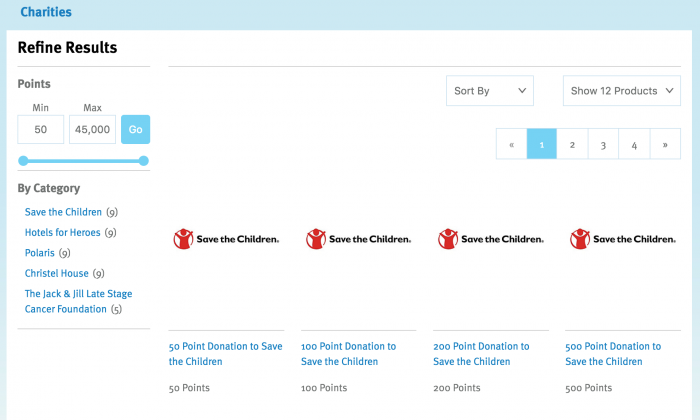 Redeeming for a charitable donation is the easiest way to do it for as few points as possible. Plus, helping people is good! Thanks for the tip. I’ll do this exact thing now!